Doodlers, rejoice! Now there is a way to doodle and take notes at the same time. Introducing--------Mind Mapping! 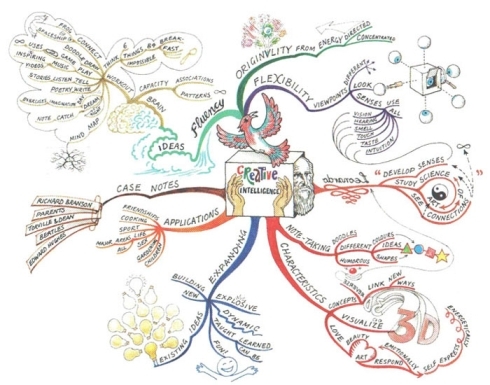 Mind mapping was conceived by Tony Buzan, a British education consultant and author, in 1993 as a way to maximize memorization and thinking skills. To create a mind map on paper, start with it in landscape format and write a short, one to four word description of the central concept or idea and place it in the center of the page. Then you can make branches from the center point using one or two word descriptions and possibly small, simple illustrations. You can then branch off from the branches to form more complex shapes and levels if needed. Doing one by hand may look something like two of the images below. Buzan recommends using at least four colors and to use "curvalinear" lines rather than plain straight lines to enhance recall later. This one is very idealized and much more complex than necessarily needed. 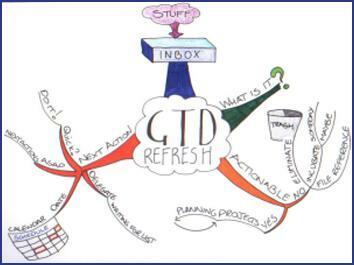 GTD stands for Get Things Done. This is a very simple mind map probably more inline with most peoples ability and/or time constraints. 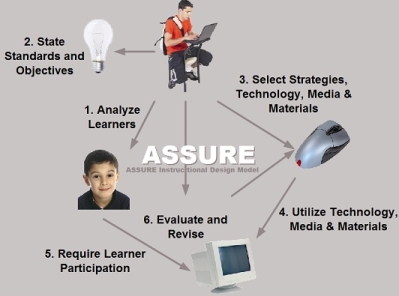 Some links to the AEA websites are here. The main concept behind mind mapping is to brainstorm quickly. It is a graphical method of taking notes while thinking creatively. Unfortunately, using software can inhibit the flow of ideas. Normally mind mapping would utilize pen and paper or a marker board. Where software would benefit mind mapping is in the rearranging of mapped objects, or with dealing with very precise visual objects. Mind maps also tend to be two-dimensional, but within software it can become three-dimensional. Software can have an advantage when collaborating with others at different locations. Many users can access it at the same time and changes are made in real time. This is especially helpful in brainstorming sessions where ideas tend to free flow and content rather than structure is more important. Jim used a site called Mindmeister for an ETEC 5310 project. This is one of the results. Jay used a program called Inspiration for an ETEC 5302 project. This is one of the results. Text2Mindmap created the following map based on a discussion we had on traditional versus non-traditional mind mapping while creating this Wiki. 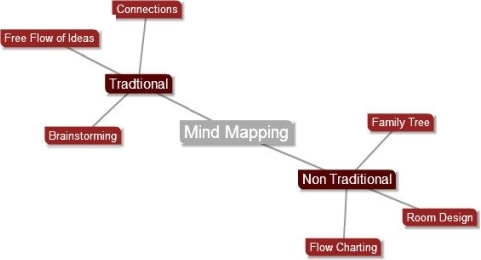 This just shows how diverging thoughts can be made to flow within the mind map although the software is somewhat limiting. In addition to those three programs there are also these, all of which are either free or have a free trial period. They can be found on go2web20.net if you forget the link. The below programs or websites can also be found on go2web20.net and could be considered if you stretch your definition of mind mapping. FamilyMingle: This program is typically used for making family trees but you could also use it to create teams, animal groups, neighborhoods, etc. PlanningWiz: This is for interior designing. It can teach students how one piece of furniture can influence what other design elements will work.